Dezeen is giving away five hardcover copies of Fabricate 2017: Rethinking Design and Construction, which brings together the best architecture and design projects involving digital fabrication. This competition is now closed. Congratulations to the winners, who are Ali Hazem from Egypt, Michael D'Souza from Illinois, USA, Kelsey Kish from Washington DC, USA, James Harris from Yorkshire, UK and Aleksandre Meparishvil from Toronto, Canada. This year's conference took place at the Institute for Computational Design and Construction at the University of Stuttgart, and touched on new developments in 3D printing, robotic construction, machine learning, automation, and cooperative practices between humans and machines. The Fabricate book features 32 projects from both academia and practice, including contributions by Bjarke Ingels Group, Zaha Hadid Architects and Foster + Partners. 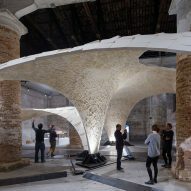 Some of the showcased projects include BIG's 2016 Serpentine Pavilion, MIT's fur-like 3D-printed Cilllia and the University of Stuttgart's carbon-fibre Elytra Filament Pavilion, which was built by robots. "Much has changed since 2011," said the Fabricate committee. 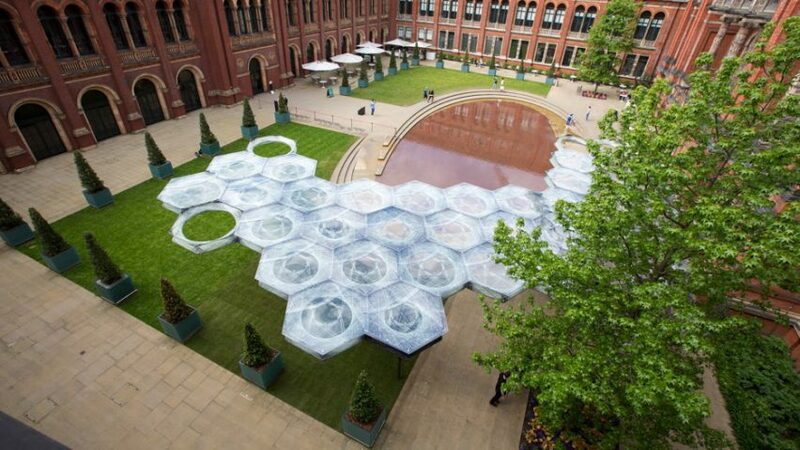 "The projects chosen for Fabricate 2017 were of a significantly larger scale in terms of both size and reach, reflecting 'Industry 4.0', the high-tech strategy in which design, engineering and production are leading to a fourth industrial revolution." "Both the book and the conference explore the multifaceted cultures of computational design and digital fabrication, which can no longer be generalised as 'digital architecture'." "A number of submissions also look at the blurring boundary between computational design and digital fabrication, which is being questioned by cyber-physical productions systems and challenged by new forms of man-machine collaboration," they continued. The book is edited by four prominent professionals in the field of digital fabrication: Bob Sheil, director of the Bartlett School of Architecture; Achim Menges, founding director of the Institute for Computational Design at the University of Stuttgart; Ruairi Glynn, director of the Interactive Architecture Lab at the Bartlett; and Marilena Skavara, director of digital product studio Codica. The book is organised into chapters on production, materialisation, additive strategies and construction. 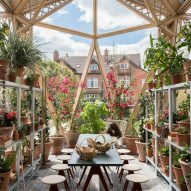 Foster + Partners made use of their expertise in digital modelling to create the complex timber roof of this Maggie’s Centre for Culture in Manchester. The team behind the Armadillo Vault, which featured at the Venice Architecture Biennale in 2016, managed to bridge the gap between digital modelling and realisation by learning from historic precedent and by extending traditional craft with computation. 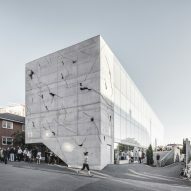 Robotic hot-wire-cut patterns and apertures were created in the concrete facade of this Danish office building by Sleth Architects.